These beautiful zen decor ideas can help you create an interior design that will provide a tranquil ambiance you’ll love. 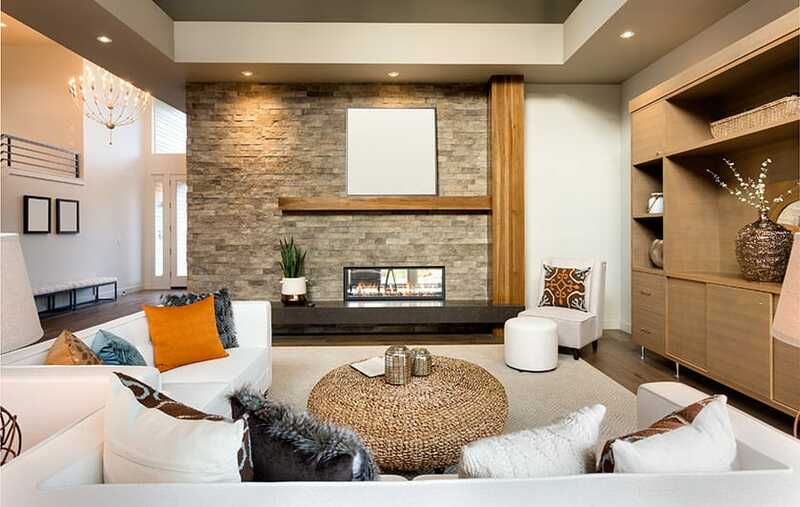 A zen design can help you enhance your living spaces by using a cohesive layout that focuses on a balance between design and elements. Below are a few zen designs for prime interior spaces including bedrooms, bathrooms, office spaces and living rooms along with tips for creating a calming accent wall. What is Zen? The word Zen basically means meditation in the Japanese language. Although it is believed that the concept of Zen actually originated in India, was brought to China and eventually made its way to Japan where it derives its name from. In terms of interior decor and design, aspects of Zen are spread over covering various aspects such as showcasing purity and simplicity while using the benefits of holistic natural elements in a Zen inspired surrounding. Transforming your home into a Zen inspired interior casually means to simplify and to infuse materials and elements that lets in a sense of calmness to the space. Even though Zen isn’t about following a strict set of rules the idea of Zen is more of a simple lifestyle that anyone can garner with a little bit of insightful thought and effort. Zen bedrooms are often influenced by color, with white or more natural shades. These rooms often feature wooden furniture that is minimal and provides a warm ambiance. Decor items are often limited in Zen bedrooms and kept to a minimum to promote tranquility. A set of shadow box shelving or floating shelves are a smart solution for displaying select items and is ideal for storing purposes. As Zen promotes minimalism, it is important to make the right decision of what is displayed, which is true for electrical equipment or the mess that cables can create. These can be definitely hidden in a customized cupboard that is suitable for the purpose. Another recommended tip is to use gauze curtains that will let in the radiant sunlight which perfectly blends in harmony with other natural elements in the Zen bedroom. Essential oil diffusers and its aroma can create a soothing ambience that helps one for peaceful sleep. Lavender oil diffusers are generally known as a blend for Zen bedrooms to create such environments. Crystals have been well known for its healing measures from the past. 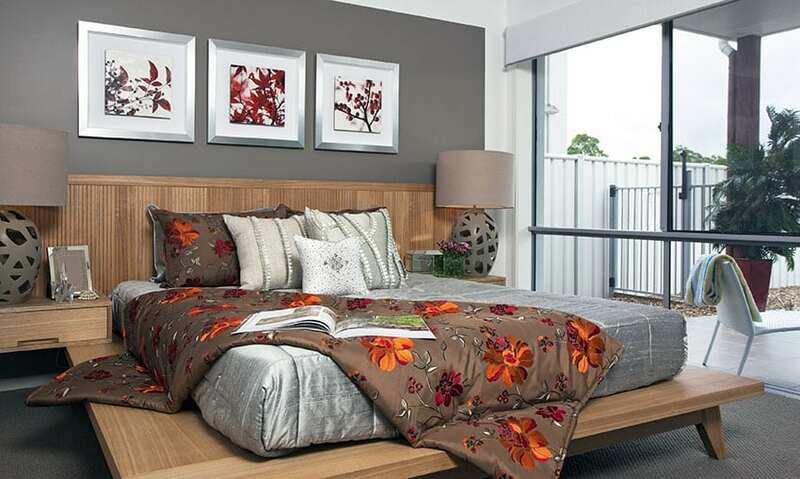 Zen bedrooms are more inclined towards adding crystals such as citrine, smoky quartz that helps you to be more mindful and eliminate the negative energy within you. Zen bedrooms are often associated with natural woven organic fabrics either for cushions, linen or upholstery. These natural textiles are capable of bringing in a serene intimacy to a Zen living room. 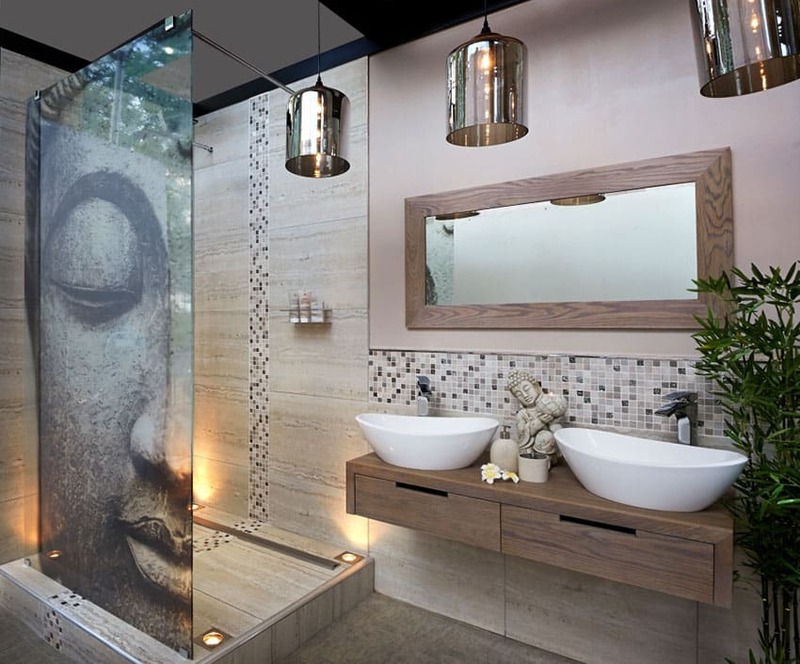 A Zen bathroom should provide an open floor plan that flows effortlessly and relies more on architecture than decor items. Infusing wood into the environment for towel warmers, mirrors or a bench will elaborate an organic feel within the Zen bathroom space. Moreover, shower floors can be decorated with stones creating interesting patterns on the floor. 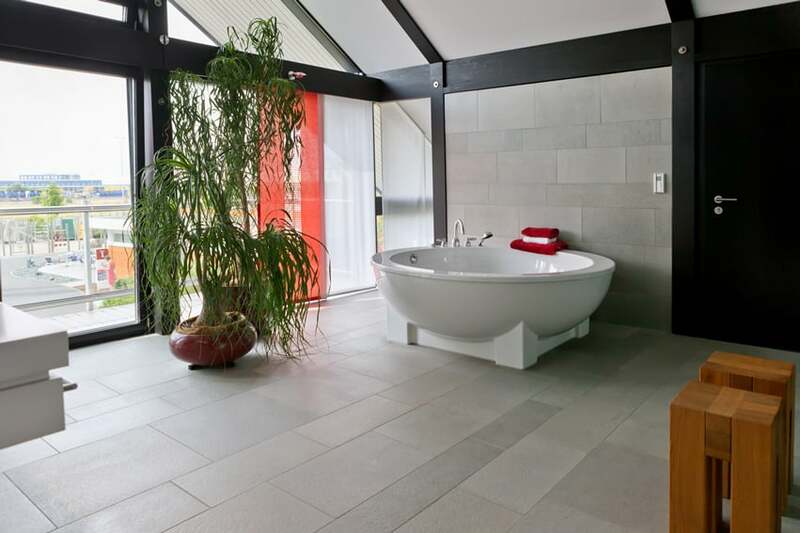 Natural plants or flowers such as lilies and bamboo can be kept within the Zen bathroom space. Adding up colored sand in jars to light the candles will accompany the Zen bathroom with natural substances. Decor accessories can be a perfect balance of candles, incense burners, oil diffusers or gauze curtains that let in plenty of light. These combinations conjure with the earthy tones for wall paint, and marble or tile patterns. Zen bathrooms can be more invigorating with the aid of aromatherapy. Diffusers, candle sticks, or potpourri are popular in terms of aromatherapy for Zen inspired bathrooms. Sandalwood, Jasmine and mint are few natural ingredients that can be used to acquire a more of Zen vibe. When thinking of harmonious zen decor ideas for the office its important to promote a positive environment. Office spaces are often nothing more than cubicle spaces that hinder any growth or development. Zen office spaces are such that people are naturally drawn to work and improves productivity and overall personal growth. The first step to creating a zen office space is to remove any unnecessary clutter from your desk and immediate work area. While not a revolutionary idea in itself, this is a great starting place that can help you create a blank canvas from which to realize your design. 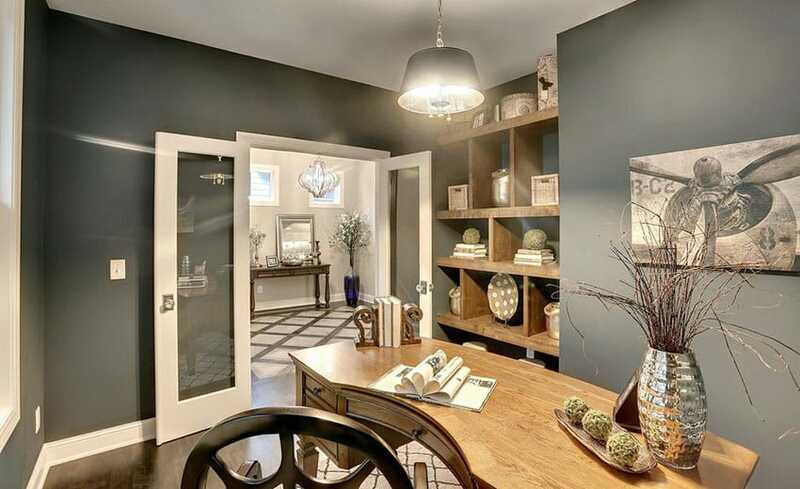 Consider what purpose your space serves and what no longer serves a useful purpose. Next, you may want to incorporate a slice of nature in to your space. Bringing in plants can boost your productivity, help cleanse your air naturally, give your eyes a rest from staring at a computer screen and greatly improve your surroundings. Spider plants, philodendron, lemon balm and the peace lily are all great for purifying the air and boosting your productivity and well-being. Many office spaces often suffer from direct and harsh lighting that is of no aesthetic appeal, where Zen suggests diffused lights or recessed lights that is soft and warm to create a relaxed atmosphere. 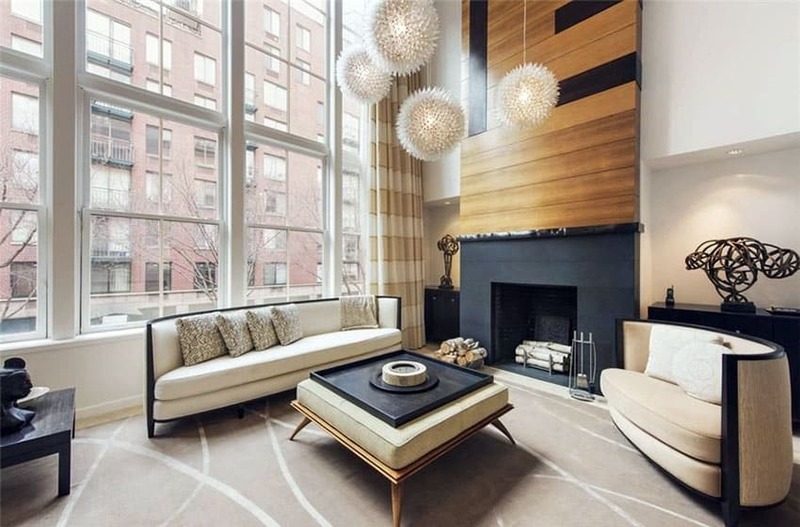 The shapes, colors and textures overall contribute in enhancing the appearance of a Zen living space. Soft rugs and cushions should be chosen wisely which has an overall impact over the muted palette that runs all over the office space. Ornaments that resemble the idea of serenity can be arranged in a corner of your office space with few succulents to accompany. The aroma of essential oils or scented products will help to calm you at work. Placements of rounded edges instead of the harsh lines in an office space can unconsciously recreate a comfortable ambience. A variety of shades in colors such as tones of grey, beige or shades of earthy colors can create a perfect balance of a Zen inspired living room. Added to that, a matching pair of patterns could go along with the upholstery, curtains or any other fabric within the living space for an orderly look. Diffused lights are always a great option for Zen living rooms. For an example, scented candles that is infused with natural ingredients could come in really handy as a solution for both the aroma and the lighting. Aroma diffusers and incense candle ornaments can be added to a Zen living space that will as well act as Zen therapy. In addition, vertical plant hangers and succulents can really bring in a sense of orderliness that an ideal Zen living room inherits. Basically, Zen living rooms do not emphasize on trinkets but few ornaments that are of great importance to you, which could be displayed in an organized manner on a floating shelf. Have you heard of ‘Himalayan Salt Lamps’ that attracts the toxic that is bred in the air and exhales clean air instead? These glowing Himalayan Salt Lamps comes with variety of added benefits such as increasing the energy levels inside the space and by illuminating special effects of soft warm lighting to Zen living rooms. Artwork, metal wall arts, tapestries, decals, canvas paints and murals are various ways of Zen decorations that can be placed or attached on a wall. Hanging artwork, lights, plants are different keys of attaining decorations. A mini vertical garden or a wall that lets a creeper run in the interior can be a unique option for the wall decorations. Fern and moss art on the walls will never leave you disappointed for a Zen wall decoration. Mounting natural stone pebbles on the wall will ideally serve the purpose with a natural aesthetic appeal. Zen wall decors should always be kept at a minimal scale to not to disturb the harmony of the surrounding space. Earthly colors should be promoted throughout the wall space with emphasis on colors such as white and gray, or shades of beige for a feeling of calmness. For wall and ceiling lighting replace harsh florescent lights with a more eye-friendly soft natural lighting.